The response to the tornado that struck Fairdale and surrounding communities in DeKalb County, IL on April 9 has been tremendous! The outpouring of volunteers and donations of goods and money contributed to a strong Relief Phase. 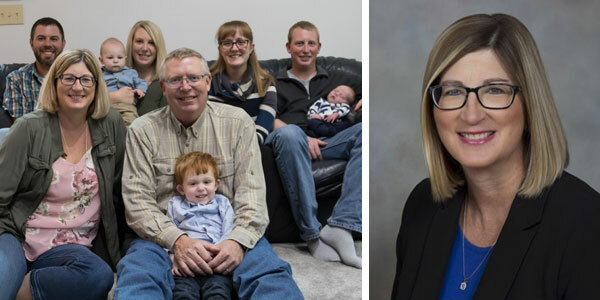 As the Relief Phase has transitioned to a Recovery Phase, the Kishwaukee United Way and the DeKalb County Community Foundation have partnered to establish the DeKalb County Disaster Recovery Fund. This pass through fund, managed by the Community Foundation and endorsed by DeKalb County and Kirkland officials, accepts monetary tax-deductible donations that will be used to support mid to long-term recovery and rebuilding efforts that meet needs among DeKalb County residents. The money within the DeKalb County Disaster Recovery Fund will be distributed as recommended by the DeKalb County Long-Term Recovery Corporation (DCLTRC). The DCLTRC is a locally-driven organization that includes representation of key stakeholders and resource providers to review existing data/conditions, assess ongoing needs, and direct funding appropriately. 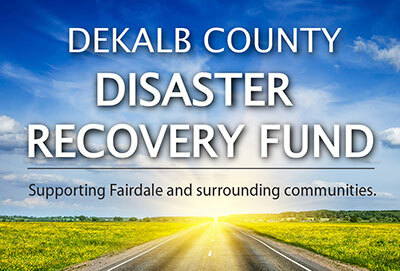 The DeKalb County Disaster Recovery Fund within the Community Foundation will not charge an administrative fee and 100% of the donations contributed will be used to directly support the long-term disaster recovery needs of the Fairdale area DeKalb County residents. The Community Foundation will consider all donations contributed to this fund as being intended to support the Fairdale area residents unless otherwise noted. The Community Foundation is honored to partner with donors, community leaders, and service providers to help the Fairdale area recover and rebuild as determined by its residents and others who are interested in supporting an even stronger community as a result. Thank you for doing your part! 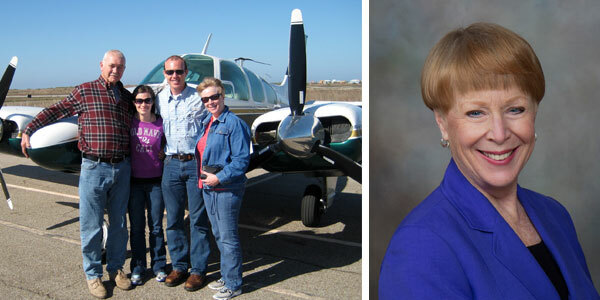 See the progress of Fairdale and more at www.fairdalerecovery.org. Online donations are always accepted or you may support the fund by sending a check made out to the DeKalb County Community Foundation with “Fairdale Recovery” mentioned in the check memo or cover letter. If you have questions or wish to explore additional philanthropy in DeKalb County, please contact Executive Director Dan Templin at 815-748-5383 or dan@dekalbccf.org.